There are plenty of smaller titles that cropped up over the 25 minutes of today's Nindies presentation. Here's our roundup of some of the smaller titles and their trailers. Finji delivers a new game from Adam Saltsman, the creator of Canabalt. In this turn-based survival game, players take care of a group of travelers on a post-apocalyptic road trip across the United States. Fight off scary creatures, rescue stranded survivors and scavenge for supplies like fuel, first aid kits and weapons. There are consequences for every action. The game launches on Nintendo Switch this fall. Fellow Traveller and Chance Agency offer an emotional survival game about staying human in a world disrupted by automation. Lina, the last human driver on the neon-drenched streets of Los Ojos, California, interacts with a diverse cast of characters with individual story arcs. Players must balance their income, sustain a positive rating and manage their emotions, as fulfilling Lina’s job as a rideshare driver is the only way they might reunite with her best friend Savy, who’s mysteriously gone missing. The game launches on Nintendo Switch this summer. Devolver Digital and askiisoft have created a stylish neo-noir action-platformer featuring breakneck action and instant-death combat. Players take on the role of an assassin, the Dragon, to slash, dash and manipulate time to unravel their past in a beautifully brutal acrobatic display. Players can overcome the opposition however the situation requires, as each level is uniquely designed for countless methods of completion. Deflect gunfire back at foes, dodge oncoming attacks and manipulate enemies and environments with traps and explosives. Leave no survivors. The game launches on Nintendo Switch on April 18, and is available for pre-purchase starting today. Flight School Studio challenges players to this top-down, pinball-inspired hack-and-slash dungeon crawler. Players venture deep into a desert mountain haunted by a desperate Creature to restore power to an ancient facility by charging energy orbs and having them bounce around and ricochet to reactivate dormant machinery. They will uncover and upgrade powerful gear to help them save the city of Mirage from a deadly sandstorm. The game launches on Nintendo Switch this summer. Paper Cult delivers ultraviolence in a twisted Western revenge tale with a deranged cast of characters. Betrayed and left for dead, Mr. Wolf is hell-bent on finding his attacker and exacting revenge. Players can choreograph spectacular, bloody combos by making use of everything around them, from hatchets and ladders to … carrots? The game launches on Nintendo Switch this summer. Kongregate and Twirlbound offer a stirring open-world adventure with beautiful biomes to explore, puzzles to solve and secrets to discover. Players take on the role of Hue, a brave young adult who belongs to the last remaining tribe of humans on the island of Albamare. The island’s factions trade and fight with each other over food and territory, while Hue learns about ways to influence the ecology in search for a new home for the humans. The game launches on Nintendo Switch in August. Vlambeer’s Super Crate Box is coming to bring back the glory of the golden arcade age, when all that really mattered was getting on that high score list. The Nintendo Switch version will include exclusive two-player co-operative and competitive multiplayer for even more arcade mayhem. Prepare for an arcade delight with tight controls, refreshing game mechanics, cracking retro art and a terribly hip chiptune soundtrack when Super Crate Box launches in April. Vlambeer’s post-apocalyptic roguelike-like top-down shooter challenges players to fight their way through the wastelands with powerful weaponry, collecting radiation to mutate some new limbs and abilities. The game offers 12 playable characters, seven playable main worlds, 30 ways to mutate characters and more than 120 weapons. The game launches on Nintendo Switch – today! Decoy Games takes a deep dive with this multiplayer underwater shooter with action-packed co-op and versus game modes, all supported by online and local play. The game comes with an ocean of content, with more than 150 challenges across eight game modes. Players can toggle between classic dual-stick controls and motion aiming, whether they’re playing locally or online*. The game launches on Nintendo Switch this summer. Vlambeer Arcade is a collection of bite-sized games with a growing catalog that starts with ULTRABUGS, a fast-paced, high-score-centric game in which players pilot a ship to fight endless space bugs. The only problem is that those bugs then split up into more space bugs when they’re defeated. By beating boss monsters, players will unlock enemy DNA that they can use to customize their ship. Vlambeer Arcade with ULTRABUGS is coming to Nintendo Switch later this year. Acid Wizard Studio and Crunching Koalas set their survivor horror game in East-Central Europe, in a forest possessed by unknown evil forces that corrupt all the inhabitants of the woods: people, animals and even the plants. Players can get new powers by extracting a strange essence from mutated fauna and flora and injecting it into their bloodstream. The game builds an atmospheric, psychological feeling of tension without the usual horror tricks of jump scares and creaking doors. The game launches on Nintendo Switch in May. So, what from that little lot takes your fancy? Let us know in the usual place. Really enjoyed this one. So much imagination out there! Katana Zero and Creature looked slick as fudge. Another really great presentation. A lot of really interesting stuff and what an incredible announcement to end it with. @KIRO I was really surprised with how many people were hoping for Untitled Goose Game info in this Direct considering the delay was announced only like a month ago. It seemed unlikely to show up at best. Nothing jumped out to me besides Cadence. Really haven't really enjoyed the last few of the nindies showcases but I'm glad they have such variety. Remember, this was for spring and summer. Goose is coming late 2019 (I would say october) maybe). That guy's hand is freakin huge! Prepurchased Cup Head, playing Nuclear Throne right now, gonna wait for a little more on Katana Zero, and I'll probably cop Blaster Master Zero 2 sometime soon. My Friend Pedro is day one, and so is Cadence. A couple others struck my interest too, it was a really awesome presentation but I'm MOST stoked about Nuclear Throne and Cup Head. I was all set to get sucked into Fate/Extella Link and now Nuclear Throne may be ruining those plans for a while lol. It's addictive. @BenAV I was hoping to finally get a release date for the Switch version of A Hat in Time. I'm pleasantly surprised. Was sure there'd be mostly games I already knew of or had on Steam but I only recognized about two of them. Really loving this indie era. Love the variety, the prices, and the amount of games releasing. I think only the pine game didn't interest me at all, other than that almost every game I saw is a potential buy. Fantastic stuff all around. Probably the best Nindie Direct yet in my opinion. Obviously Cuphead and Cadence were incredible, but stuff like RAD, Katana Zero, My Friend Pedro, Nuclear Throne, and Creature in the Well all seemed awesome too. Nintendo continues to be the absolute best place to be for indies! No update on FIGHT CRAB? @Lumine That's fair. I'm pretty interested in that myself. I'm not too concerned about release dates for games already announced in general though as just knowing they're coming is good enough for me. I mainly go into presentations like this hoping for brand new stuff that catches me by surprise rather than details on games we already know about. Wow, so much news for Nintendo today! Overland and Katana Zero particularly stuck out, although the environment of KZ was a little too similar to that of Ghost 1.0 to me, but the gameplay can probably overcome that minor beef for me. Edit: Actually I think I meant Darkwood, not Overland. Red Lantern stood out for me. The Zelda Necrodancer was a nice surprise. Neo Cab looked interesting. The cup game at the beginning looked highly polished and good fun. I really enjoyed this direct, especially the Cuphead reveal. Interesting that there wasn’t much pixel art in these games. I can think of lots of pixel art games that looked underwhelming on a Nindie direct that I ended up falling in love with when I got round to playing them. I wonder if this was a deliberate decision by Nintendo, are they responding to Nindie pixel fatigue? @nintendobynature Yep, not that I've played it, but I was reminded of Hyper Light Drifter too. Pre-purchased Cuphead and bought Blaster Master Zero 2! The hosts made it almost insufferable for me, but I loved that CupHead is coming, and the game Rad seems pretty fun. Edit: The "Stranger Things" game could be good as well. A solid presentation all around, a good number of games to keep my eye. Although Red Lantern was definitely the stand out title to me. A game about surviving the cold forests with a pack of doggos is exciting to me. Even as someone who has went almost entirely physical this generation, I can't wait to get my hands on this one. Holy moly, that was an amazing presentation. I'm interested in almost every game, except maybe for that underwater one. Lot's of new exciting stuff. Very interesting direct, still waiting on Dusk info. Hopefully I hear something soon. These Nindie showcases are typically kind of ‘meh’ but this one was exceptional. Looking forward to cuphead and overland especially! @Duncanballs Pine is definitely on my watch list, as well. I usually enjoy these Indie Showcases but this was by far the best. Some quality stuff on show. "So, what from that little lot takes your fancy? " Probably the best Nindies direct I've ever seen. I really liked Overland a lot and funny enough I got kind of interested in Neon Cab. However Cuphead was the biggest highlight for me, followed by Cadance of Hyrule and Rad. Very good if you watch the presentation itself. The individual trailer videos on this page don't do the presentation justice. Cuphead, Pine and Stranger Things 3 look great. As much as I love Nintendo, I hate having two talking heads trying to explain their upcoming catalog titles to us as if we were empty headed children. 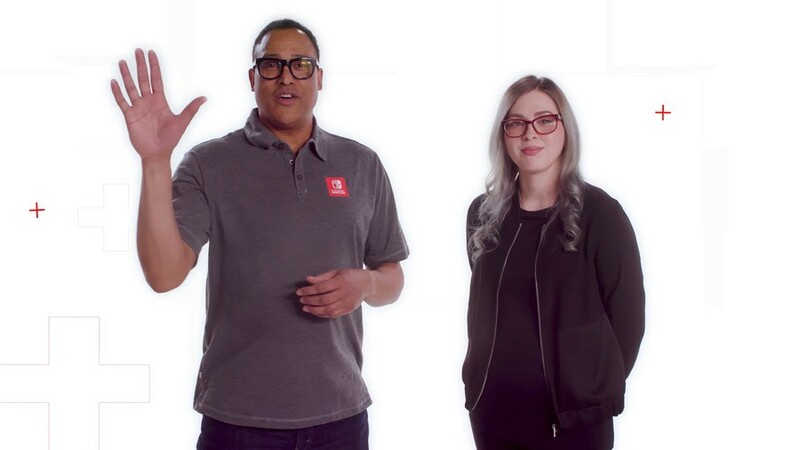 It’s embarrassing enough that said talking heads feel completely disingenuous but the fact that they remind me of those insufferable hosts on GameStop monitors is just irritating as hell. 2019’s Nindies announcements look decent enough; I’m more curious to see what may be in store for us later this year with their AAA announcements for E3 though. I love the look of Cuphead, but I know it's out of my skill range - if they threw in a 'dummies' mode, I'd be all over it. Pedro (or whatever the banana one is called) looks incredible. And I'm intrigued by Creature in the Well, Pine, and Bloodroots. And then there was the nice looking turn-based strategy game whose name slips my mind. Man, so much good from one Direct. is that reggie's younger brother? I expected nothing so I came away pleased. Best nindie so far. Cuphead, Pedro, Red lantern, & Cadence have my interest. I usually don't care for Nindie directs but there were some good looking games in this one. And Cuphead and Cadence of Hyrule look so good! Cuphead and Cadence of Hyrule for me. I'll suggest Red Lantern for my niece. Now besides Cuphead (though I've noticed I'm easily frustated after playing Hollow Knight) and Cadence, I'm into vlambeer stuff, so maybe I'll check the new arcade as others I've played. Also that katana one was interesting with those moments between missions. I found it amusing that the NeoCab pitch had a line about a "diverse cast of characters" and at the time it was played several same shade of brown person with similar face to the driver flashed through. That's not what I'd call "diverse", but what do I know? Also everyone's face looks all kinds of unappealing, one of the passengers looked like a really badly drawn Announcer from TF2. The rest of the game looks very interesting though. Overland, Creature in the Well and Bloodroot stood out to me. The latter one for the interesting idea of using environment as a weapon. I thought about a similar idea for a game, except using enemies against other enemies (like grabbing one guy and slamming/throwing him into the other three) with a similarly fluid flow. But I'm no game designer. Pine looks like it may choke on its own ambition. Red Lantern looked rad, while Rad looked dull. And of course, Blaster Master 02! I may need to get the previous one, I have a very hard time with the NES original, the remake is clearly the superior version. I wish some other classic NES games got a similar treatment (like Castlevania, especially SImon's Quest, or Metal Storm, a great NES game that came out the same year SNES did). Lots of fun surprises in there! Not thrilled that it feels as iff more than half of the games come with "Rogue-like" elements, like that was a new idea or something, but I'm digging the variety in themes and visuals. And these awkward presenters are just adorable. I only cringed 25 different times, cool games tho.